Peterborough United midfielder Jack Payne has joined League Two side Blackpool on a free transfer. The 24-year-old penned a one-year deal today (August 25) at Bloomfield Road after passing a medical and meeting his new team-mates, who include former Posh striker Kyle Vassell and midfielder David Norris. The former Gillingham man spent the majority of last term on-loan at Leyton Orient, making 29 appearances. 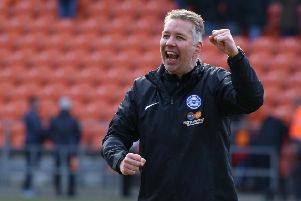 Payne made 79 appearances for Posh during his career with the club.